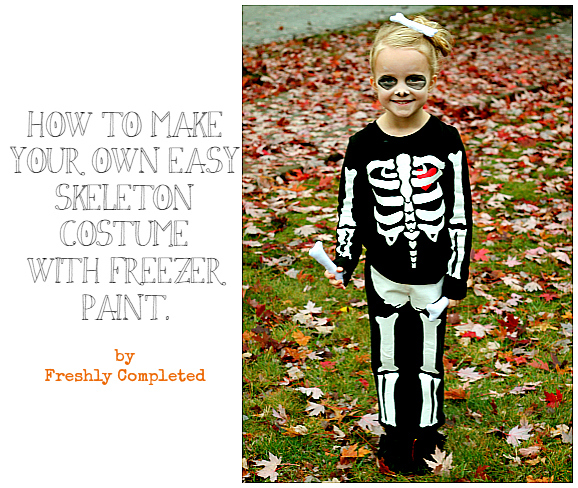 Freshly Completed: Make Your Own-- Easy- Skeleton Costume. Make Your Own-- Easy- Skeleton Costume. Each year for Halloween we kind of discuss our costume plans and some years we do a theme and some years I let the kids be whoever they want. Both are fun. Last year each of the kids decided to do their own thing. I love how their costume choices were a perfect reflection of their personalities. 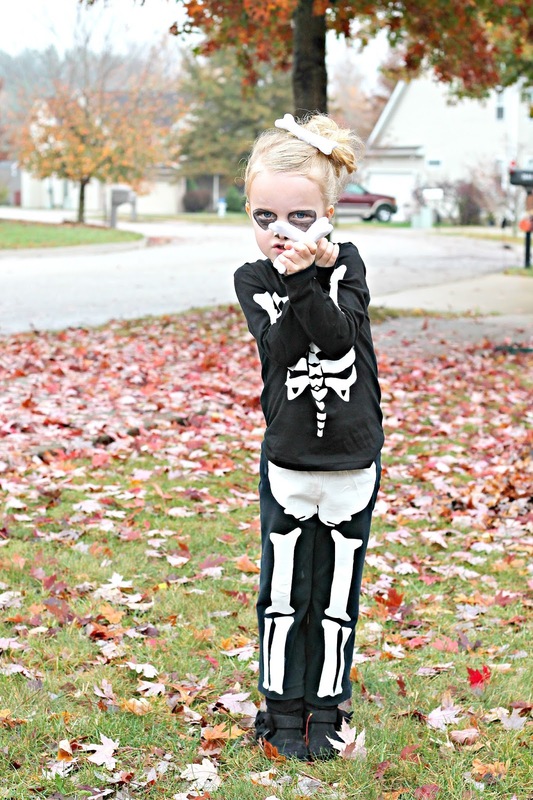 This girl wanted to be a spooky skeleton Remember this was the one that wanted to be a scary bat when she was three. She's such a crack up! 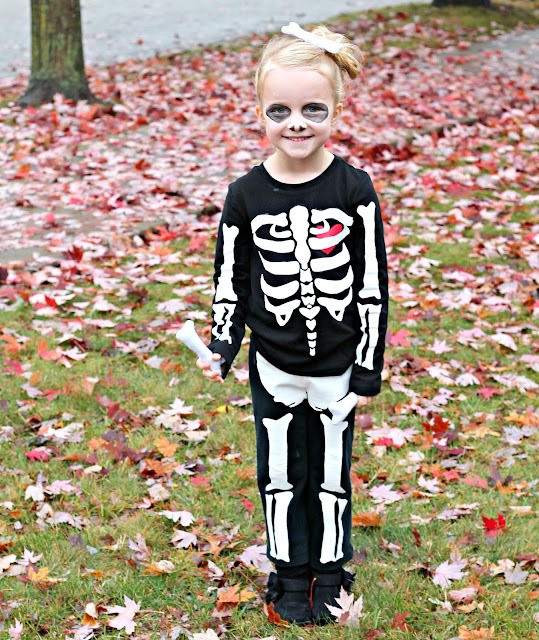 In the weeks leading up to Halloween, I'll admit, I saw very similar costumes all over town for like $20. But I win, because my only out of pocket cost was a $3 t shirt. Everything else I had on hand. 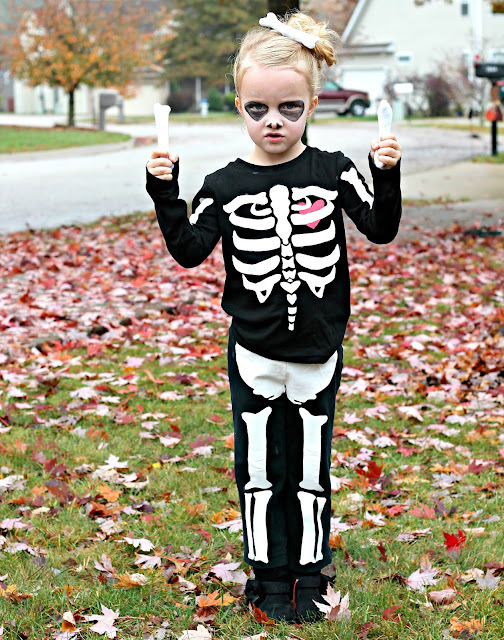 And you know me, I really Love making the kid's their Halloween costumes-- even if it looks like I bought it. 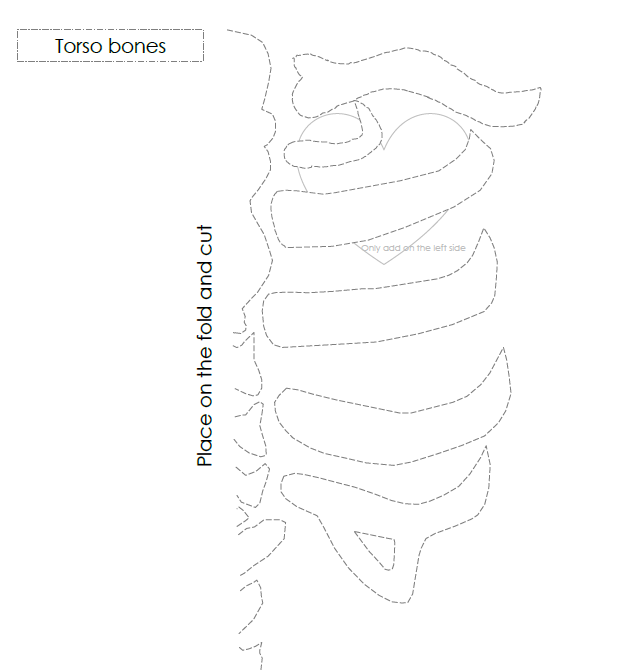 STEP ONE: Print out the Skeleton Bones pages and trace the bones onto the non-shiny side of the freezer paper. 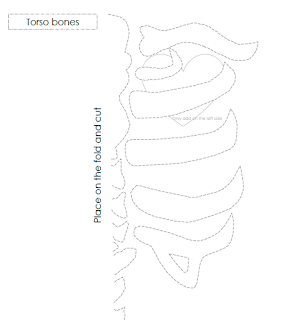 STEP TWO: Cut out the bones from the freezer paper. Place cardboard in between the shirt and pants for extra protection. Iron the bones stencils in place on the shirt and pants for about 30 seconds or until you have a good seal. 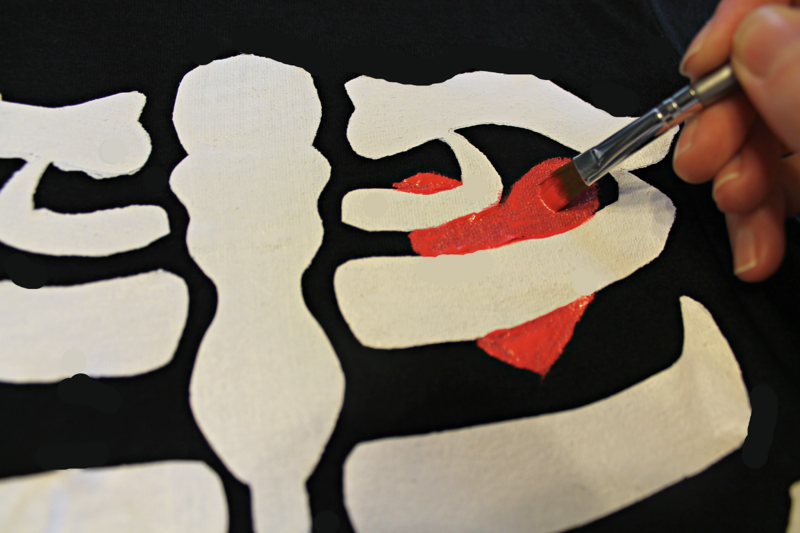 STEP THREE: Once cooled, paint all the bones with the white fabric paint. Wait until dry (about an hour) before adding more coats. I added about three coats of paint. STEP FOUR: Once the paint is completely dry, remove the freezer paper. I used an exact-o knife to help get around the tiny designs. STEP FIVE: Add the red heart! For me, I just free-handed the red heart. But I added a heart in the pattern if you're not as comfortable free handing it. STEP SIX: There were a few parts where my paint bled through. 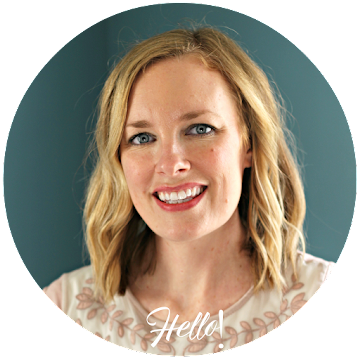 ( Maybe it's because my freezer paper is old? 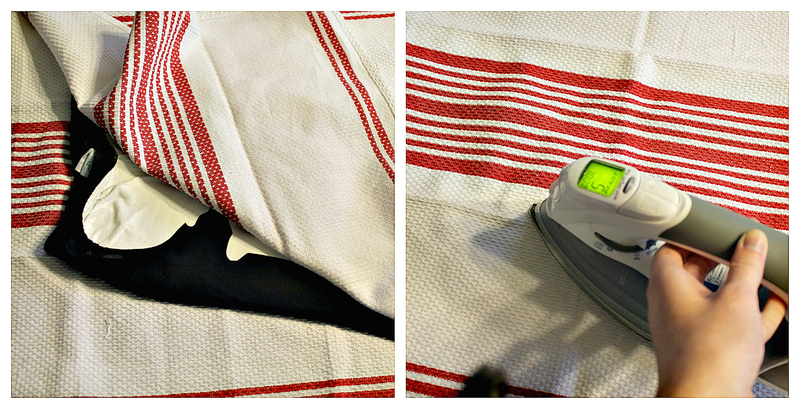 Or maybe I wasn't careful ironing every down well enough??) I'm not sure why. But it was an easy fix. I just went back over the areas with black fabric paint and fixed it up. STEP SEVEN: Once everything is completely dry and looks how you like it-- place it between a towel and iron everything down for about 30 seconds. 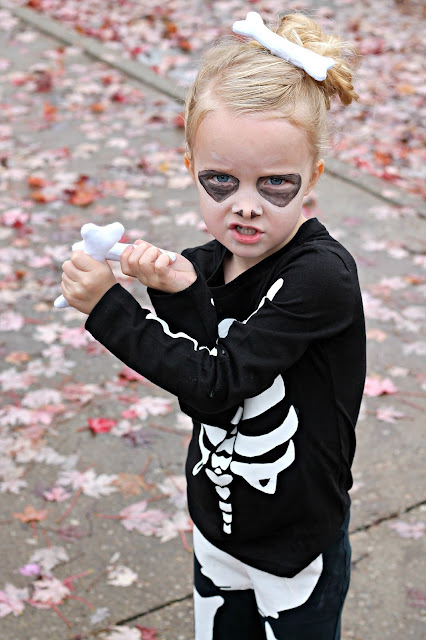 As a special request from her, I made her felt "bone weapons". And just to be cute, I made a bone for her hair. I requested one cute smile picture. 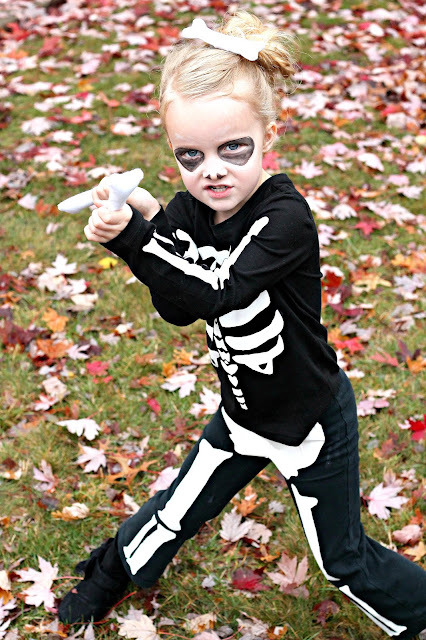 Then it was back to being a fierce skeleton girl!